Are you a blogger or designer who is constantly in search of high quality images and vector graphics to work with? Or are you an enthusiastic photographer and/or designer capable of creating high quality images and graphics or a Blogger who loves promoting affiliate products? In either case, Depositphotos.com is the place you want to be, because it's your one-stop-shop for stock photography, high quality vector graphics, and even videos. You no longer need to pay steep rates for buying photos, as you can obtain royalty-free images from Depositphotos at very inexpensive rates. And if you're a photographer, you can make money while sitting at home by selling your high-quality images! Read also: Which Photographs Sell well and Make Serious Money? Depositphotos is a U.S based microstock agency that has met with remarkable success over the past few years. It was founded in November 2009, and in a span of just over 3 years, more than 13.6 Million files have been uploaded to this site. It now serves customers in over 192 countries and over 15 languages. So why Depositphotos, you ask? It is a creative content marketplace for your graphics, but there's a lot more to it than just that. Here are some of the reasons why bloggers and web designers should take a closer look at Depositphotos. Smart search - You can browse images by categories, or search for them using advanced search filters with a lot of variety and sort options etc. You can search by category, contributor, keyword(s), file type, file size and orientation, and so on. Depositphotos API - An API for developers that allows integration. A plethora of files to choose from - From Abstract and Vintage/Retro, to Travel, Cities, Sports and Technology, there's a host of over 37 categories you can browse images from. And there are millions of files available, with new files being added daily. So you'll never run out of images and videos to choose from! Pay-by-SMS - A great and flexible option for buyers in certain countries, who can pay via SMS. All they need to do is send an SMS, and the purchase cost will be deducted from their mobile phone credit. Inexpensive rates, free trial subscriptions, and attractive contributor incentives (see below). Now here are some special opportunities for bloggers to outshine others! If you're a blogger, you have the chance of obtaining a free subscription from Depositphotos for your personal use, or for holding a give-away for your readers. All you have to do is, write a well-written review for Depositphotos on your blog/site, and then follow the instructions given in the link above. If you pass their requirements, you will get a free subscription which will entitle you to download high-quality images for free! Contributors and buyers get incentives in the form of an Affiliate program that rewards them for every friend, family member, or co-worker they refer to Depositphotos. They can also win rewards by promoting the company in several ways. Bloggers who have photograph related websites/blogs can get $10 for putting up Depositphotos banner on their site. $20 if the site has an Alexa ranking of below 50,000. If a contributor you referred makes a sale, you get $0.03 per sale. The more you refer, the more you earn! For every purchase made by a buyer you referred, you get up-to 15% commission. 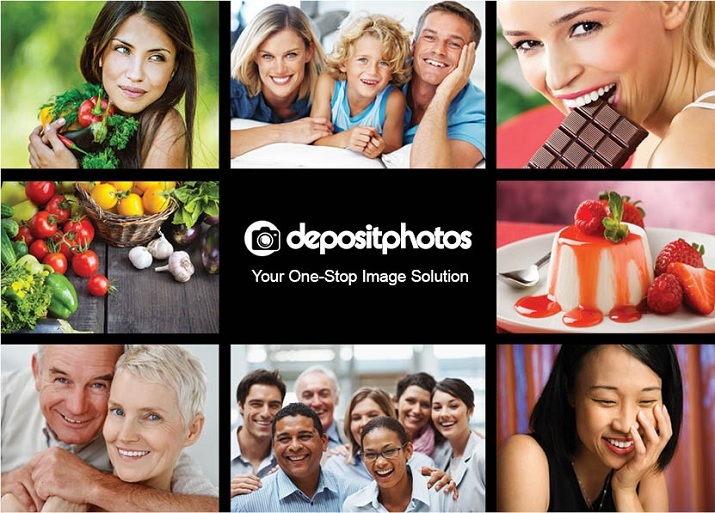 Buyers have two options to buy photos from Depositphotos, i.e. via the "PRO Subscription plans" or the "Pas-As-You-Go Credits". PRO Subscription Plans - With the PRO Subscription plans option, you can subscribe for 1 month, 3 months, 6 months or an year. You can choose a subscription type as well, i.e. between 5 photos per day (minimum) to 200 photos per day (maximum), and this will let you download the respective number of photos per day. For most bloggers, anywhere between 5-20 photos per day should be sufficient. The longer and the more images you subscribe for, the better value you get. You can get anywhere between $0.46 per image to $0.15 per image this way. Pay-As-You-Go Credits - Alternatively, you can buy credits, which you can later use to download images. There's no download limit per day for these subscriptions, as long as you don't exhaust all the credits. You can buy a minimum of 50 credits for $50, and the more you buy, the lower the cost per credit. You can also buy stock images without a long-term subscription. The prices range from $0.5 to $9, depending upon the size of the vector image. Depositphotos has flexible payment options, and you can pay through PayPal, MoneyBookers, or Webmoney. You also have the option of payment via SMS as discussed earlier. That's a good question actually. Sellers can't set the price for their photos, because that's standardized by Depositphotos exclusively. So image prices do not vary from one to another. Rather, they vary depending on size. As far as as the amount of money paid out to sellers is concerned, that also depends. There are five levels of contributors, and their rank is determined by the number of downloads they get. The rates for different types of subscriptions also vary, as in, purchases via Pay-As-You-Go and purchases via PRO Subscriptions vary in amount (since they vary in the price as well for buyers). The following table sums up contributor levels and their payouts. So what are you still waiting for? This could be your chance to earn big money out of your passion for photography and graphic design! I get my photos for free at flickr and give credit. I assume if a blogger is making zero money from his blog, he can use any photo because it is not for profit. That's why they call it photo sharing. Is all this true? Thanks.